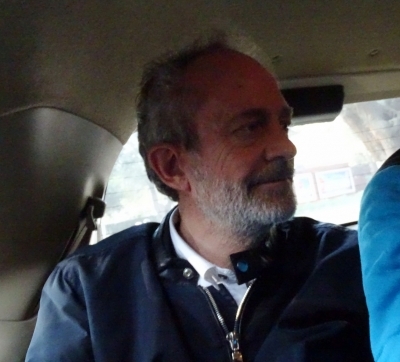 New Delhi, Feb 13 (IANS) A Delhi court on Wednesday reserved its order on the bail plea of British national Christian Michel, the middleman accused in the Rs 3,600-crore AgustaWestland VVIP chopper deal case. Special Judge Arvind Kumar said he would deliver the bail order on Saturday. The Central Bureau of Investigation (CBI) and the Enforcement Directorate (ED) have opposed the bail plea. Michel sought the bail, saying he has been in custody since December 4, 2018, and as per Section 167(2) of the Code of Criminal Procedure, the probe was supposed to be completed by February 3, and the chargesheet filed. But it was not filed within the stipulated 60-day period, so he should be released on bail, Michel's defence counsel told the court. The CBI told the court that the chargesheet in the case has already been filed against the accused persons, including Michel, and proceedings started. Quoting provisions of Section 167(2) of the Code of Criminal Procedure, the CBI said that the 60-day criteria was not applicable here. On its part, the ED said that rather than filing various prosecution complaints piecemeal, the agency is in the process of filing a detailed and comprehensive prosecution complaint. Michel was extradited to India on December 4 from the United Arab Emirates (UAE). He is one of the three middlemen being investigated by the CBI and the ED in the VVIP chopper deal. The ED arrested him on December 22, 2018. In January 2018, the ED had lodged a request with the UAE authorities seeking extradition of Michel. Both the ED and the CBI had filed chargesheets in the bribery cases in Indian courts and non-bailable warrants had been issued against the accused. In its chargesheet, the CBI had named former Indian Air Force chief S.P. Tyagi, his cousin Sanjeev Tyagi alias Julie, then IAF Vice Chief J.S. Gujral and advocate Gautam Khaitan as the four Indians involved in the scam. The others named in the chargesheet included Giuseppe Orsi, the former chief of Italian defence and aerospace major Finmeccanica, and Bruno Spagnolini, former CEO of AgustaWestland, apart from middlemen Michel, Haschke and Gerosa.